Self-driving Cars: How Economical Would They Be? Driverless cars – how do they work and will they really save us money? Just imagine this scenario: you climb into your trusty vehicle, type (or speak) your desired destination into the car’s advanced interface, then sit back and take a nap, work on your laptop, read a book or gaze out the window while the car drives you where you want to go. This may sound like a fantasy, but it’s not. Welcome to the future, and the world of driverless cars. Science fiction has always loved the idea of a car that drives itself, but fiction is fast becoming reality! Science fiction has always loved the idea of a car that drives itself, but fiction is fast becoming reality. The basic technology is already there, with sensor-based crash prevention systems, lane-keeping warnings, emergency braking, auto-parking systems, advanced satellite navigation and other electronic wizardry already available in some current vehicles. Fully autonomous cars are simply the logical extension of our technological capabilities, combining ever-improving software with a formidable array of sensors so the car knows what’s happening in the driving environment and can react appropriately to changing conditions. Whether it’s called a driverless car, a robotic car, an autonomous car or a self-driving car, the basic definition is pretty much the same: it’s a car that performs the same transport functions as a traditional vehicle but with the ability to sense its environment, react automatically to changes and navigate without the need for human input. The sensor technology, which might include radar, computer vision, GPS and lidar, allows vehicles to identify and interpret suitable navigation paths while simultaneously reading essential road signage and avoiding obstacles – updating their inbuilt electronic mapping systems as they go. At the moment, self-driving cars are mostly in the prototype or demonstration model stage, but things are moving quickly toward making them commercially available. At the moment, self-driving cars are mostly in the prototype/demonstration model stage, but things are moving quickly toward making them commercially available. It won’t happen all at once, however: the accumulation of technological advancements will be rolled out a little at a time as they are developed, tested and refined. Google has been at the forefront of the self-driving car revolution, becoming the first company to build a vehicle without a steering wheel, brake pedal or accelerator in 2014. The car has two seats (with seatbelts) and rather limited space for luggage or any other extras inside the vehicle. At present, the speed is limited to around 40 kilometres per hour, which makes it inherently safer than a traditional car but (at least for the moment) confines it to certain roads. You can summon this car to your preset location with your smartphone. It has a Go button, a large red Emergency Stop button and a monitor that keeps you apprised of current speed and weather conditions. 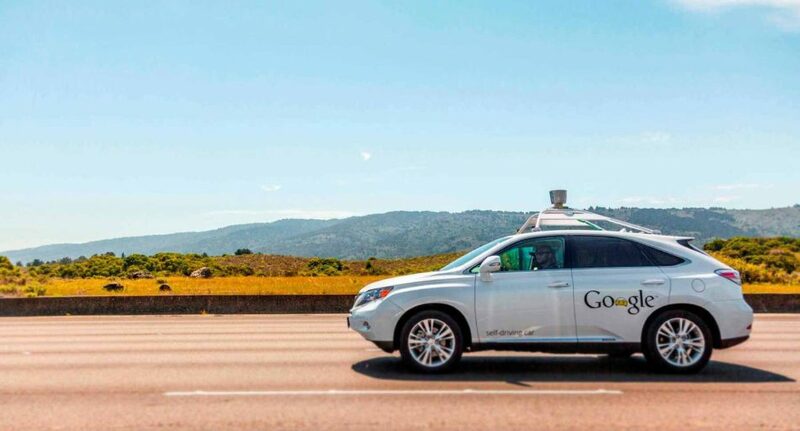 Previous versions of Google’s self-driving demonstration cars have already logged over 1 million kilometres without any major problems. GPS, radar, lasers and 360-degree cameras keep track of the ever-changing world surrounding the car. It runs on an electric motor that provides a range of about 160 kilometres. These cars are still prototypes, and it is expected that it will be a few years yet before they become widely available commercially. Moving forward, Google is likely to license its self-driving software systems to major car manufacturers who will then work to create the driverless cars of the future . 1. Fewer collisions – An autonomous vehicle is able to continuously and efficiently monitor several sensor types simultaneously over a 360 degree view, meaning quick reaction times to hazards. Driverless cars also do away with a number of common human errors and poor driving habits including tailgating, excessive speed and distracted or aggressive driving. The fatigue associated with being at the wheel and the need to concentrate on navigation would also become a thing of the past. The fatigue associated with being at the wheel and the need to concentrate on navigation would also become a thing of the past. 2. Improved traffic flow – Without the human factor, safety gaps between cars could be reduced, reducing traffic congestion and more efficiently using available road space. Driverless cars don’t get drunk, swerve dangerously in and out of traffic or lash out in a fit of road rage, either. 3. Simplified eligibility issues for ‘drivers’ – With a self-driving car, the vehicle’s occupant could theoretically be under age, over age, disabled, distracted, unlicensed or impaired by alcohol or other causes, and it wouldn’t matter – the car could still take them where they wanted to go. 4. Parking convenience – If the mall parking lot is full, a self-driving car could just drop you off, park somewhere further away where space is available and return to pick you up when you’re ready to go home. And because self-driving cars will be smaller than today’s traditional cars, the physical space required for parking will be reduced. With a self-driving car, the vehicle’s occupant could theoretically be under age, over age, disabled, distracted, unlicensed or impaired by alcohol or other causes, and it wouldn’t matter! 5. Cutting down on the total number of cars on the roads – Car sharing is becoming increasingly popular, and autonomous cars are tailor-made for this – they can drop off a passenger at Point A, then rush off to pick up another from Point B, etc. There are also fewer unnecessary passengers: for example, if your driverless car needs to go in for a service, you could stay at home (or at work) while it drives itself. Truck transport, taxi services and car sharing companies will have their entire industries changed through this reduction of redundant passengers. 6. Fewer traffic police, reduced physical road signage and cheaper insurance premiums – With human mistakes largely taken out of the equation, traffic police would have much less to do. It’s also likely that the car insurance industry would have to make changes in the way vehicle premiums are calculated, reflecting the reduced risks. And because driverless cars might be able to receive essential information about road conditions electronically, there would be a reduction in the amount of physical road signs required. 7. A smoother ride – and no need to face forward – With the steering wheel and various obsolete dashboard requirements removed, there would be no reason why the occupants could not face the rear of the vehicle, improving safety in the event of a front-end collision. And because turns, speed control, braking and acceleration are all performed through electronic automation, the ride would be consistently smoother, too. 1. Liability issues – If your driverless car collides with another car, what’s the liability situation for damage? Self-driving vehicles open up a whole new world of legal questions when something goes wrong on the road. How can one driver be at fault when neither car has a driver? There are plenty of interesting legalities to be sorted out. Self-driving vehicles open up a whole new world of legal questions when something goes wrong on the road. How can one driver be at fault when neither car has a driver? There are plenty of interesting legalities to be sorted out. 2. Control issues – Some people simply love to drive and might be unwilling to relinquish the level of control and feeling of power and satisfaction that comes with that – and this psychological resistance might make the transition to self-driving cars a slower process than expected. 3. Lack of driving practice – If, at some stage, a person owns both a traditional vehicle and a new driverless car, they will more quickly lose their driving skills through lack of the kind of continual practice that is normal today. Increased reliance on the driverless car will make them less effective as a driver in their older car. 4. Loss of driver-centric jobs – Today’s world contains a lot of people who spend much (or all) of their working day being paid to drive: postal workers, pizza delivery people, long-haul truckers and couriers, to name a few. The introduction of driverless cars will seriously reduce the availability of these kinds of jobs. 5. Reliability of software – Software is rarely 100% perfect and if the navigation, sensor or communication systems in a self-driving car are compromised, the results won’t be pretty. Therefore, the software must not only be extremely reliable, but robust enough for the road and completely tamper-proof. 6. New regulations – New technology of this magnitude will require substantial new governmental regulations and the implementation of new legal definitions and frameworks to manage the safe public use of autonomous cars. 7. Susceptibility to adverse weather conditions – At the moment, it is not yet clear how the navigation systems in these self-driving vehicles will handle extreme weather such as heavy rain, high-intensity wind or snow. 8. Changes to road infrastructure – To provide an environment for driverless cars to function at an optimum level, it will be necessary to make changes to current traffic management procedures and basic road infrastructure. The economic implications of self-driving cars: who wins and who loses? Unless they can adapt to the new changes that self-driving cars will bring to society, a number of businesses will suffer as this new technology is introduced. It now seems inevitable that driverless cars are coming, and companies involved in parking, car parts and repairs, automobile manufacturing, auto insurance and other car-focused enterprises will need to either embrace the coming revolution (and evolve with it) or be left behind. Governments will be given a wake-up call as well, losing money via tolls, taxes and licensing fees. Health insurers and personal injury lawyers will also be affected. It’s hard to accurately predict all the changes that self-driving vehicles will bring. Will they increase car sharing and reduce road congestion, or will people find them so incredibly convenient that they use them even more than the traditional cars of today? Will the maximum range of these cars increase to the point where they begin to affect short-haul airline routes? After all, if you could sleep comfortably in your car while it drives you halfway across the country, wouldn’t this be preferable to airline check-in queues, baggage restrictions and inconsiderate strangers hogging the armrests? At the moment, our cars sit idle and unused over 90% of the time. Google hopes the utilisation rate of 5-10% can be raised to 75% through the increased popularity of car sharing, propelled by the autonomous car revolution . There’s also the question of how many people will need to personally own a car in the future. If you could simply order up a car on your smartphone, wait a few minutes for it to arrive at your location, hop in and let it do the rest, why would you even need to be a car owner? According to a recent report by consulting firm McKinsey and Company , it’s the consumer who will come out on top with the introduction of driverless cars. For starters, there will be an increase in productivity, since we can work in our cars instead of concentrating on driving tasks. McKinsey estimates than in the US, for example, the mainstream use of driverless cars could save $180 billion in health care and vehicle repair bills alone, based on a reasonable prediction of a 90% drop in crash rates. And because of this, it’s not a stretch to assume that car insurers will have to create an entirely new business model, where the bulk of the liability may shift from the driver to the auto makers themselves, who will shoulder a greater responsibility in overall crash safety. Thus, personal car insurance premiums are likely to plummet once these vehicles become a normal part of everyday life. While driverless cars aren’t expected to become our main transport option until after the year 2040, a number of car makers are already introducing new ‘driver-assisting’ technologies and preparing for what now seems inevitable – a futuristic age of driverless cars. And though these vehicles are probably going to cost us more to buy than the cars we use today (at least initially), the savings over the lifetime of the vehicle in repair costs, insurance, hospital bills and other factors will be quite considerable.